This happens when no Workflow Status has been assigned to either a Publish Form or a Publish Form template. Step 1. 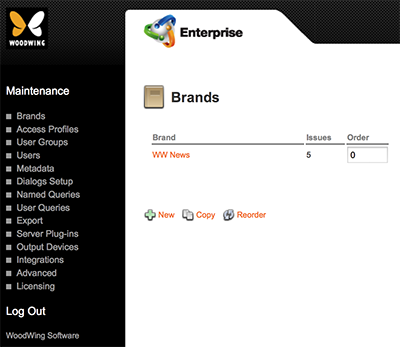 Access the Brand Maintenance page for your Brand. Step 2. In the Workflow section, add at least one status for a Publish Form and a Publish Form template. 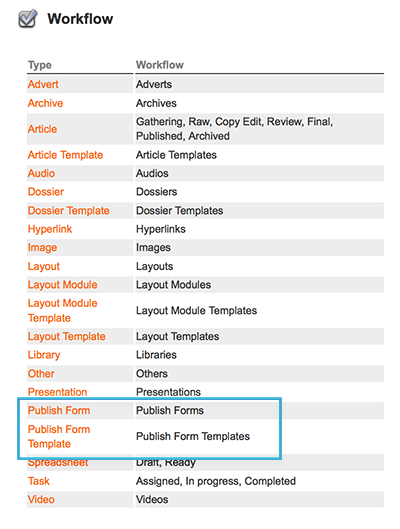 Figure: Workflow Statuses for Publish Forms and Publish Form templates added on the Brand Maintenance page.